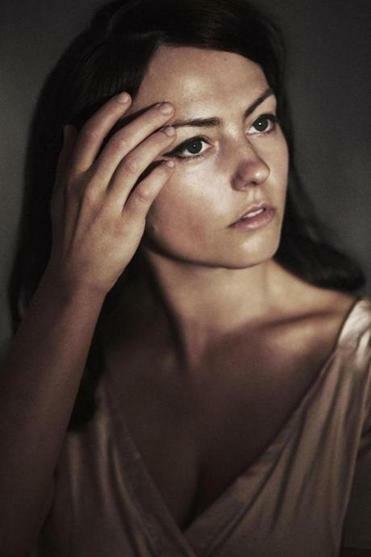 Angel Olsen is still making peace with the business of being Angel Olsen. Her voice trails off, and images of the 30-year-old’s life before her ascent fill the silence: Watching “Bonanza” as a child in St. Louis, slinging sandwiches in Chicago’s Bourgeois Pig Café, briefly pursuing a career in sports massage. Olsen, as a teen, posting on music-themed message boards and cheerleading at Tower Grove Christian High. Olsen — who plays the House of Blues on Monday — now sells out theaters. Vogue asks about her bangs. The New Yorker erupts with hosannas. Conan and Colbert beam her work to millions. She bested Radiohead in an album of the year vote for indie artists. Success, though, invites threads of negativity. Relationships die on the vine. Fans feel betrayed for spurious reasons. (Olsen, embracing wigs and New Wave tones in the video for “Shut Up Kiss Me,” has already experienced her Dylan-goes-electric moment.) Activists co-opt lyrics. Writers stereotype. Creeps spill from the Web’s every corner. Her lyrics, over three LPs, an EP, and the extras collection “Phases,” are brimming with this dim-lit search for truth. And they’re delivered with and without restraint at Olsen’s command — she can croon with a balladeer’s precision and a rocker’s caterwaul within single lines. Critics hear Loretta Lynn, Roy Orbison, Buffy Sainte-Marie, Stevie Nicks, Leonard Cohen, Julee Cruise, and Siouxsie Sioux wending through her voice. They’ve called it “enchanting” and “operatic,” and it’s both without sacrificing gravitas. This graceful smearing of intimacy and showmanship partially accounts for Olsen’s success, as does her ownership of the spotlight. Her concerts have evolved from whisper-soft folk performances to swaggering rock music spectacles. Her press photos, once imbued with underground disaffection, now cast Olsen as a timeless star of Nancy Sinatra vintage. Her image and stage presence have caught up to the cross-generational appeal of her songs. That Olsen articulates how others perceive her acclaim — managers, label heads, publicists, critics, friends, family — doesn’t feel accidental, since the very notion of success seems evanescent to her. It’s not measured by album sales or magazine spreads, perhaps, but whether she’s able to stay connected to the transfiguring purpose of her work. Her metaphor is quicksand, perhaps, because it’s exhausting to chase true north through a shape-shifting thicket of expectations for years at a time. The media piece is especially thorny. The final product of an interview — a story like this — can make otherwise disarming artists like Olsen seem severe, or that they’re heavy all the time. You know this isn’t true if you’ve heard Olsen’s “oddball and humorous” onstage banter (Jaeger’s words), or you know anyone with a multi-dimensional personality. Here, Olsen has been asked about Instagram posts she intended for fans, friends, and peers — it’s unlikely she meant to psychoanalyze them in an interview with a stranger. Olsen had no say in how this article was written, and she has little incentive to grant us access to her inner life. Still, it’s worth considering these tensions because they illuminate the costs involved in pursuing dreams. They distill what it is to choose ambition over comfort. “It’s difficult to describe all the stuff that’s not music without sounding really privileged or that you’re taking it for granted,” Olsen responds when asked about the Instagram posts. Her self-awareness was acute: She wouldn’t trade any of this, she seemed to say, and of course the world is riven with more terrifying problems than work-a-day musician issues. But it’d be disingenuous to suggest that her pursuit hasn’t involved great tumult or sacrifice. Olsen says that peers reached out to express fellow feeling after they read her posts. “It’s important for musicians to say those things out loud for each other,” she says. This network of “vagabonds” and “survivalists,” as Olsen deemed them on Instagram, will continue to be important into 2018: She is plotting additional tours — short solo runs that feature earlier, more hushed tunes — and she’s dreaming up new work. @gmail.com. Follow him on Twitter @ryanburleson.